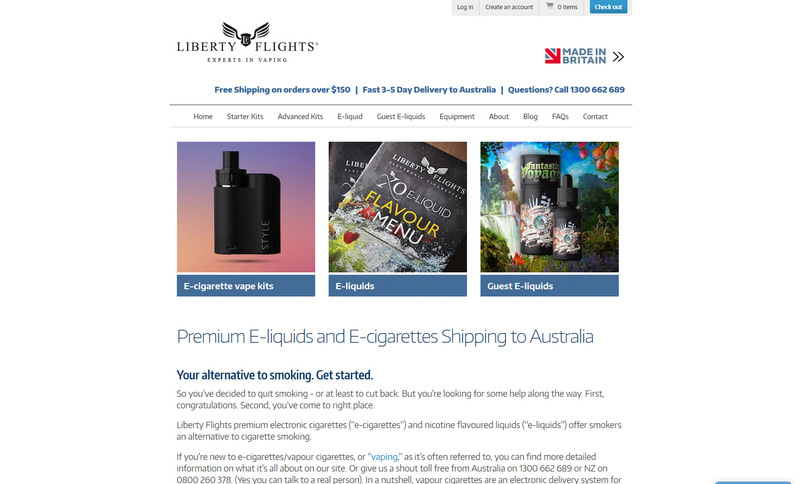 Where's the Best Place to Buy E-Liquid & Vape Juice in Australia? As vaping has grown rapidly in Australia and other countries, a wide variety of places to buy e-juice, vape pens, and mods have also developed. One can now buy a huge range of different vape flavors from online stores, stalls, markets, and shops in shopping centers. It is no surprise anymore to see a vape shop open up! For vapers, the most common purchases are usually e-juice flavours. To a lot of vapers, it is more convenient to buy online versus at a vape shop, but how do you know which online vendors are reputable? Do you know how much propylene glycol is in the e-juice that you plan to buy? How much vegetable glycerin does it contain? This is an organic chemical compound that is found in some flavours of e-juice. The problem is that it has been shown to cause significant lung damage. The best vendors stay away from any e-juice containing this product. So, you’re probably still wondering where to buy flavouring for e-juice. A lot of the decision making around buying e-juice will be largely subjective, but since not all vape vendors are the same. 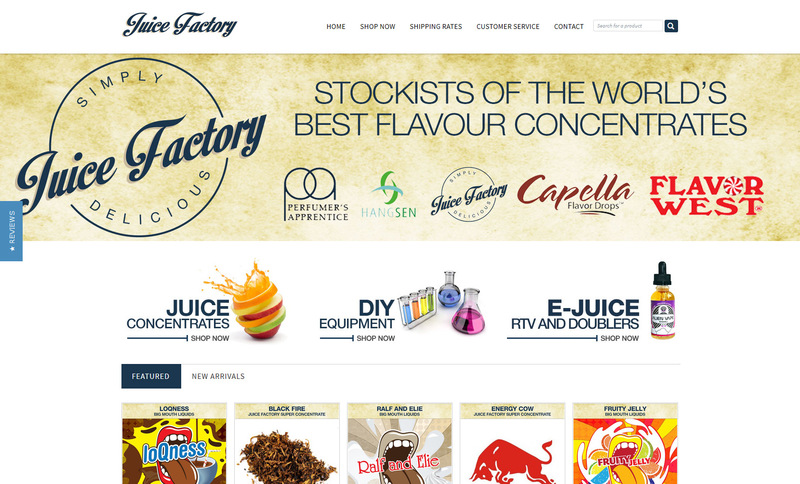 A colourful site with plenty of pop, Juice Factory offers some mouth-watering juice flavours, including Fruit Jelly, Caribbean, and Choco Ella. Many of these flavours are in the form of a concentrate, so they will need to be mixed with PG, VG or a mix before putting into a vape pen. The branding of Vaper Empire is very regal and sophisticated. Their range of e-juices looks great and really suits the style of a gentleman or lady vaper, with names like Artisan Collection and Classic Collection. This is where you’ll find the Kings Castle premium vapour liquid, featuring enchanting names like Sir Galahad, Lady Guinevere, and Magic Merlin. It’s an enticing range, but the site is not as attractive as some of the others here. Liberty Flights maintain an understated but elegant and easy to navigate site. 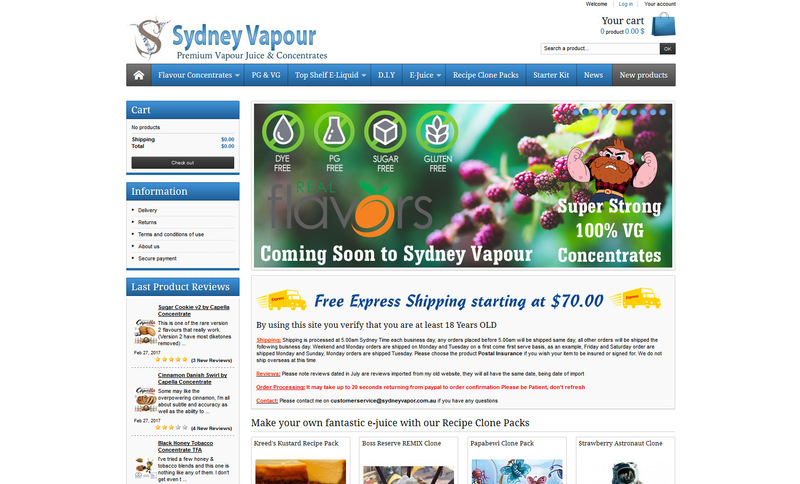 All of the liquid vapour flavours are easily accessible and well presented. You can buy Burley Tobacco, Menthol, or even Mango Tango here. 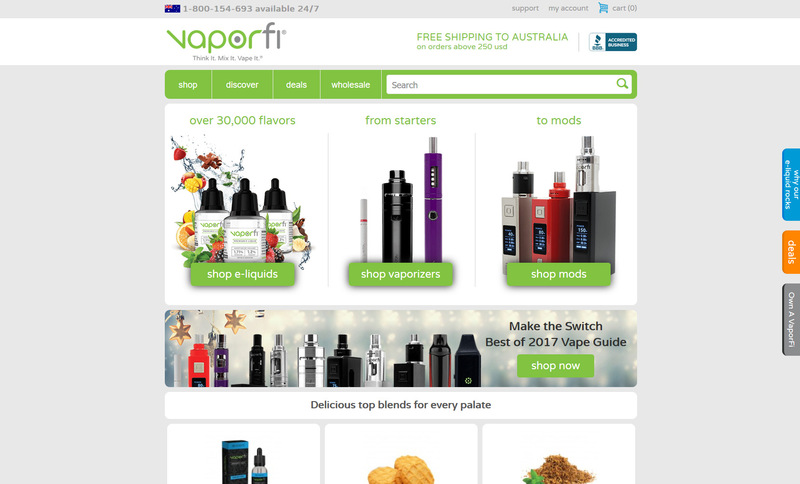 VaporFi is one of the premium online stores for everyone interested in vaping. The site is engaging, easy to navigate, and provides a wide range of useful information on vaping and tips. VaporFi offers customers the opportunity to create their very own e-liquid flavours with almost 30,000 possible combinations. You can also find many highly coveted, limited edition flavours at VaporFi – including Raspberry Mocha, Vanilla Caramel Bites and Very Berry Slushie. VaporFi also offers special edition Grand Reserve, and Premium flavours like Island Frost and Pineapple Pow. You can also find a couple of flavours crafted in collaboration with Cosmic Fog: the popular Strawberry Shortcake Ice Cream and Grandma’s Dutch Apple Pie. You can also find your favorite vaping device brands on VaporFi at competitive prices. All of VaporFi’s e-juices are diacetyl free, approved by the U.S. Food and Drug Administration, and use top rated ingredients so you know exactly what you’re buying. Out of all the online stores listed here, this is the one you don’t want to miss. Whether you like e-juice that tastes like candy, dessert, or fruit, VaporFi is sure to have your next favorite flavor. Check out our wide range of juices.